Your tastebuds will dance a sweet and savory tango induced by the dynamic pairing of brown sugar and bacon – both wrapped in a blankety “zing” of vinegar and a sprinkling of caraway seed. Indeed, cabbage has a bad rap. Why, the lips seem to curl at the very mention of its name! 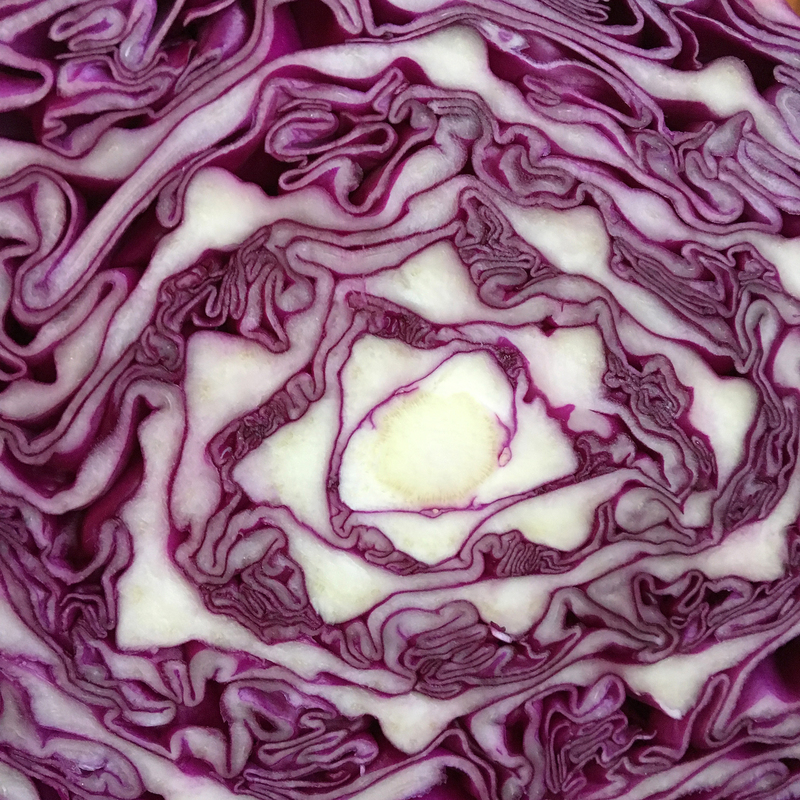 And while cabbage made a lot of appearances at depression era tables, there are some quite redeeming qualities of cabbage including protecting against stress, lowering the risk of diabetes and heart disease, and helping create a healthier complexion. I’m in! Perhaps the biggest cabbage morale booster started in the 1970s. This was the golden era where the origins of the Cabbage Patch Kids kingdom was born. During this time I was preoccupied with skateboarding or patiently staring at the fruitless gems never born by my rock tumbler. Simultaneously a multi-billion dollar business was emerging thanks to the help of “Bunnybees” sprinkling magic dust on top of cabbages. Hey, don’t make fun of the messenger! While your sweet and sour cabbage is chilling in the fridge you can enjoy the earliest Cabbage Patch Kids video I could locate (below) plus a video revealing the lesser-known story behind the pudgy dolls. ❤ Dressing tip: We didn’t notice the dressing turning clear per the instructions below; just make sure you don’t overcook it; in 3-4 minutes ours was done. 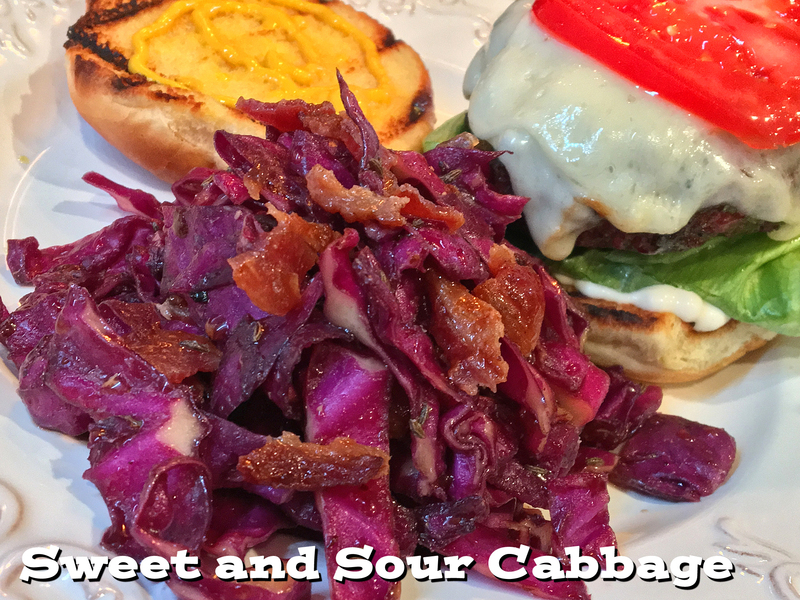 ❤ This dish is best consumed the same day it’s made; the chopped cabbage will gradually lose its crisp the longer it sits. ❤ Love sweet and sour? Celebrate the flavorful ying and yang by clicking here for more of Mom’s recipes! 1. Cook the bacon until crisp. Reserve 3 tablespoons of the bacon drippings in the skillet then drain the excess. Cool then crumble the bacon and set it aside while we prepare our dressing. 2. To the drippings add the onion, brown sugar, corn starch, salt, water, and the vinegar. Cook over medium heat, stirring constantly, until the mixture is thick and clear. Remove the dressing from heat and cool. 3. 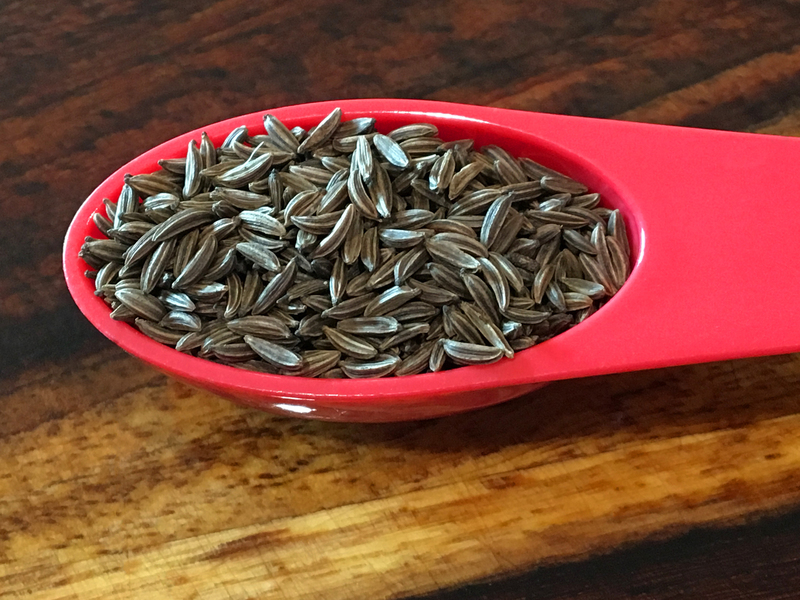 In a large bowl, combine the cabbage, caraway seeds. 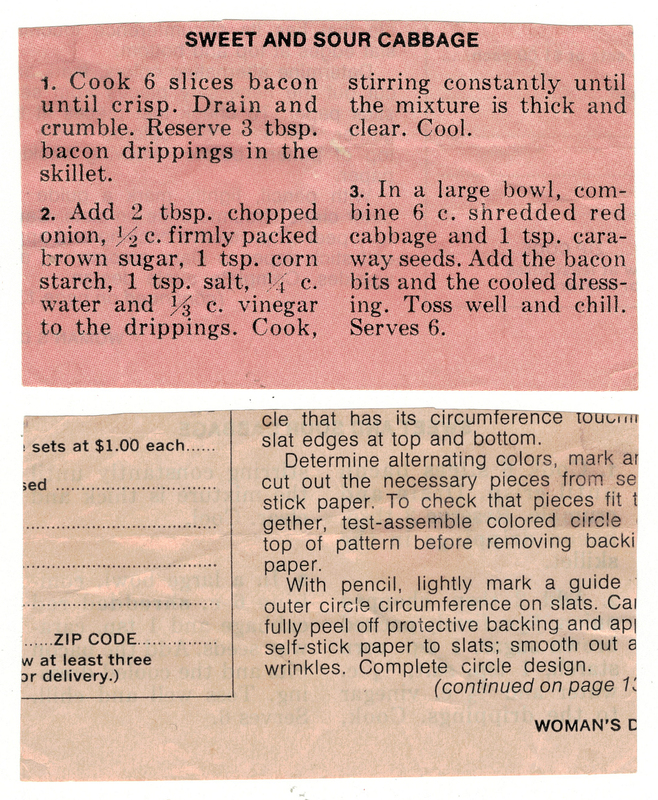 Add the crumbled bacon and the cooled dressing. Toss well and chill. Yields 6 1-cup servings! I paired my cabbage with a nice home-grilled cheeseburger, which complimented the sweet and savory cabbage perfectly! And here are the videos I promised!